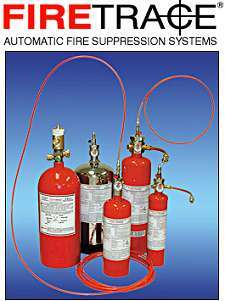 Interstate Fire is pleased to announce the addition of Fire Trace Suppression Systems into our product line. Fire Trace is a leader in “Micro-Environment” fire protection using the philosophy of protecting valuable assets as opposed to protecting the entire enclosure the equipment is found in. It is cost effective without sacrificing fire protection. Examples of this unique protection would be installing a local application system in over Servers, UPS Systems or In Cabinet Electronics. Fire Trace also provides CNC Machine fire suppression and Nacelles of Wind Turbine fire suppression. Learn more by calling Interstate Fire Protection or via e-mail.